LONDON -- Aston Martin latest project has less to do with cars and more to do with ocean views and private pools as the automaker pushes into U.S. real estate for the first time in an effort to establish a broader luxury brand. Teaming up with property developer G&G Business Development, Aston Martin broke ground on a 66-story apartment tower in downtown Miami on Wednesday. The facility, set for completion in 2021, will feature 391 condominiums, including seven penthouses and one duplex penthouse each with private pools. Prices range from $600,000 to $50 million. "Aston Martin is on a growth trajectory globally and across the United States," Chief Marketing Officer Simon Sproule said at the ground-breaking ceremony, according to a statement. The apartment project "forms an important part of that growth story and of our desire to bring our brand to new audiences across the world." While expanding beyond cars like its flagship $250,000 DB11 risks muddying its image, the UK-based company may have little choice as it prepares for an eventual initial public offering. Even with the upcoming addition of the DBX crossover, demand for expensive vehicles is limited, and traditional sports cars are under threat as countries like the UK move to end the sale of combustion vehicles in the coming decades. The residential tower is one of the biggest projects in Aston Martin's branding push, which also involves Project Neptune, a luxury mini-submarine concept unveiled last month. 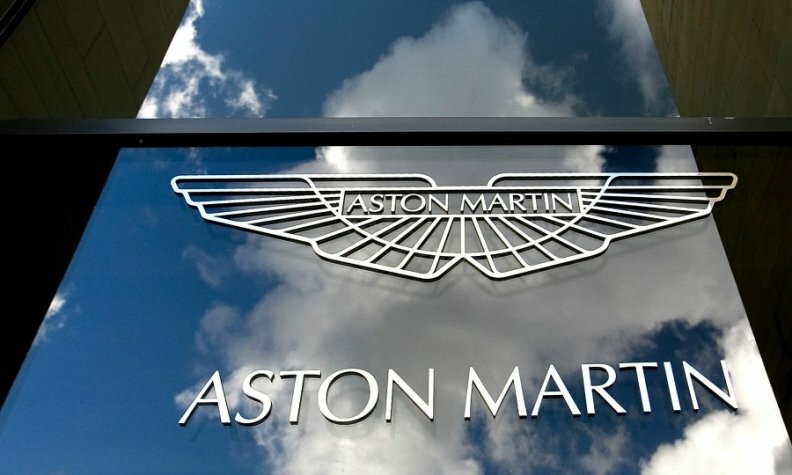 Aston Martin Residences Miami as well as a push into yachts, handbags and baby strollers also offer a revenue stream less threatened by the potential hurdles thrown up by the UK's decision to leave the European Union. The interior of the apartment building will be developed by Aston Martin's design team led by Chief Creative Officer Marek Reichman, with elements such as carbon fiber reception desks and custom door handles. The sail-shaped glass and steel construction, designed by Revuelta Architecture and Bodas Miani Anger, offers direct access to a yacht marina and features amenities including a spa, cinemas, an art gallery and a virtual golf room between the 52nd and 55th floors. Aston Martin will be gunning for the same clientele as Porsche's 60-story Design Tower, about 20 miles away in Sunny Isles Beach. The Porsche project offers a car elevator for a drive-to-your-room experience.